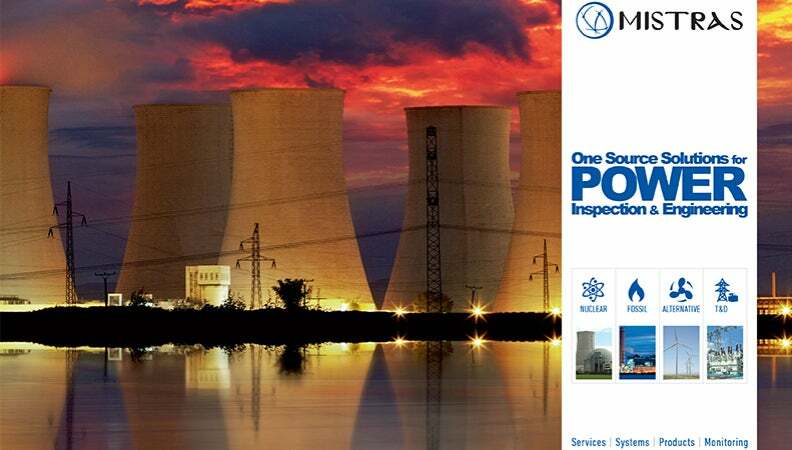 MISTRAS Group provides inspection and engineering services and products to the power generation industry. For the construction and maintenance of nuclear power plants, MISTRAS provides a combination of traditional and modern non-destructive testing (NDT) inspection techniques for transformers, turbines, boilers, nuclear lift rigs, piping and condensers. Solutions for nuclear plants include heat exchanger condition assessment and inspection, steam generator inspection, flow-accelerated corrosion (FAC), and balance of plant (BOP) services, consulting and programme development. MISTRAS provides inspection services for fossil fuel plants including natural gas and coal plants. Inspections can contribute to important solutions that maximise plant efficiency and meet stringent regulatory standards. Inspection services from MISTRAS include FAC / corrosion under insulation (CUI) / buried piping solutions, turbine inspection, high-energy piping assessments, BOP services, boiler and heat recovery steam generator (HRSG) tube leak inspection. Inspection services from MISTRAS are also available for renewable energy plants both onshore and offshore. Ropeworks teams provide rope access and blade services for wind power plants. The company also offers NDT techniques for biomass and hydroelectric plant construction and maintenance; such as repairs, installation, refurbishment, overhauls and inspections. MISTRAS also offers engineering management and services including capital project engineering services, FAC monitoring, and mechanical and piping integrity. The company has a centre of excellence that provides asset integrity management services (AIMS). This involves the management processes and systems that allow power plant owners to ensure their assets will remain fit for service (FFS) for their lifespans. AIMS engineering services also features plant equipment design, FFS evaluation, maintenance, and damage and failure analyses. With a combination of NDT services, MISTRAS can supply online monitoring of power transformers continuously. To maintain a reliable and safe operation unsuitable conditions must be detected as quickly as possible. MISTRAS supplies diagnostic testing for high-voltage equipment such as high-voltage (HV) cable splices, load taps, changers, breakers and gas-insulated substations. MISTRAS distributes systems and products to detect leaks, cracks and flow problems. All solutions have undergone research and development to ensure they increase efficiency and reliability, as well as delivering early warnings and therefore optimising the plant lifespan. MISTRAS has developed a preventative maintenance software programme called Plant Condition Management Software (PCMS™). The programme includes integrated risk-based inspection (RBI), tracking and analysis, corrosion analysis, inspection tracking, and safety relief valve management. Predictive maintenance (PdM) services from MISTRAS range from the development of reliability-centered maintenance (RcM) programme to walk-around data collection services, online continuous monitoring and training programmes. Gap analyses for the execution of a PDM programme is also available, including training, certification and complete RcM development, including asset criticality, reporting, failure mode and effect analysis (FMEA), cost benefit and root cause analysis.